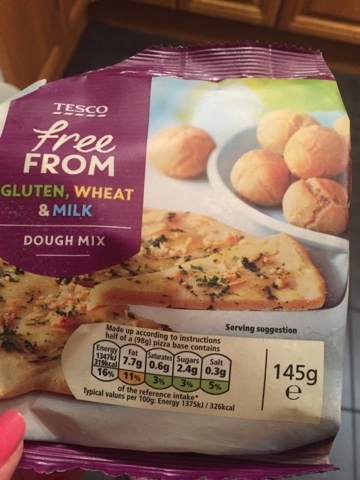 Tesco is my favourite place to do my food shop, especially now they have masses and masses of free from options for us to choose from! Obviously if your testing out a dough mix you have to make a pizza base right?! So that's what I did. It was really really easy to make. Just put the dough mix into the bowl, and add in the required oil and warm water. Stir together and it forms a lovely dough! I'm not sure whether it was me but the only issue I had with the mix was when I had rolled it out and tried to move it to my tray, it fell apart a few times. But after 3 attempts I managed it!! 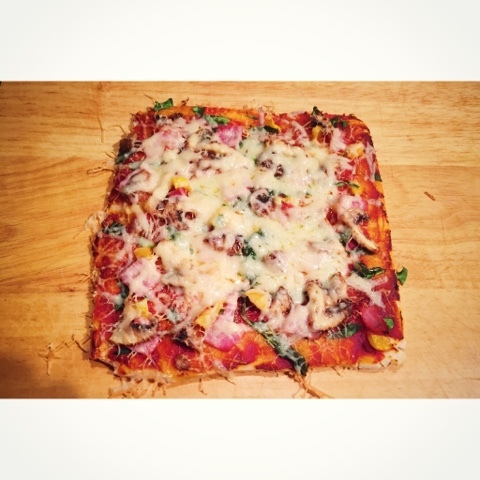 I topped mine with loads of veg, ham and dairy free cheese! Overall I think it's a really tasty dough, easy to make and very reasonably priced. Well done Tesco!